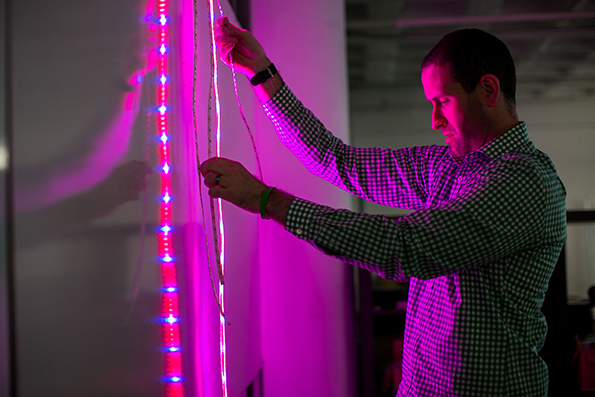 Back in 2010 when Freight Farms was just beginning to establish itself, “Ag Tech” hadn’t gained much traction as an industry...fast forward 5 years and it’s become a rapidly-growing industry that we’re thrilled to have pioneered. As team members prepare to head to the 3rd Annual Indoor Agriculture Conference in Las Vegas, it’s sparked conversations about how significantly the space has developed. Years ago, our co-founders remember joking over coffee about how to classify what they were doing, so we’ve decided to share Brad’s experiences building the Ag Tech industry that we know today. Get ready, because this is just part one of a series of posts about our experiences in the Ag Tech space! The term “Ag Tech” first entered my life in Mid 2009 when Jon and I established our first venture in the hydroponic space, United Hydroponics, INC. We were sitting in the Dunkin Donuts in Oak Square, Brighton that served as our headquarters at the time due to it’s wifi, soft seating and ample coffee. We had established the initial plan for a rooftop greenhouse consulting firm to bring the latest technology into the urban food production and were furiously working through multiple projects to determine how to interview clients, gauge their needs and desires, and design systems to accommodate each one. It was during this time that an innocent conversation first spiraled to a very abstract place; what to call this industry? It wasn’t driven by a desire to give a fancy name to our work that would make it sound legit and impress our parents (although that would have helped), but rather as a basic means to communicate with the people we were meeting with daily. I can’t say for certain why it felt so important, but we continued to come back to this question time and time again. From my perspective, I wanted to classify what I was so excited about. As we quickly got deeper into this venture developing the concept of Freight Farms, one thing was clear: I wanted to talk about it to anyone who would listen. In reality, I wanted to answer YES to all of these and many more. After 5 years, tens of thousands of hours, and the creation of the Leafy Green Machine with its companion suite of digital tools, the farmhand applications, I finally think I’ve wrapped my head around what I see as AgTech. Much like industry buzzwords, the term AgTech doesn’t mean much by itself which is probably why Jon and I laughed SO hard years ago when we used the term to arbitrarily describe the new industry. Technology in agriculture is by no means a new concept, but it is one of increasing importance. As we seek to increase food production for the growing global population in a sustainable way, it is crucial to consider alternative production methods to mitigate some of the environmental effects of traditional farming. Transforming the global food system requires continuous improvements and advancements in the field of agriculture technology. The Indoor Ag Conference in Las Vegas next week will be featuring many of the companies that have contributed to the industry’s growth and success. Personally, I think it's thrilling to work in this space...we’re all using technology to challenge the status quo and making drastic improvements along the worlds global food supply chain. I left Las Vegas last year totally inspired and have no doubt this year will continue to shape how I view agtech and the future of our industry. I’ll be sure to recap our experiences in a follow-up post after the conference, as there will be even more Ag Tech advancements to explore in the near future.